REDLINES AUTHORIZED AGENT SPECALIZES IN GARAGE CABINETS, SLATWALL, CLOSETS AND HOME ORGANIZATION. 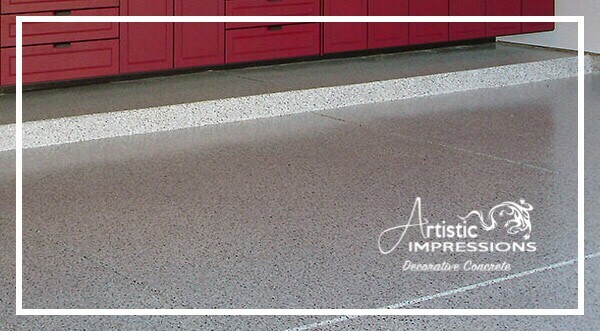 Homeowners in your area have the pleasure of working with authorized RedLine Agent, Artistic Impressions. 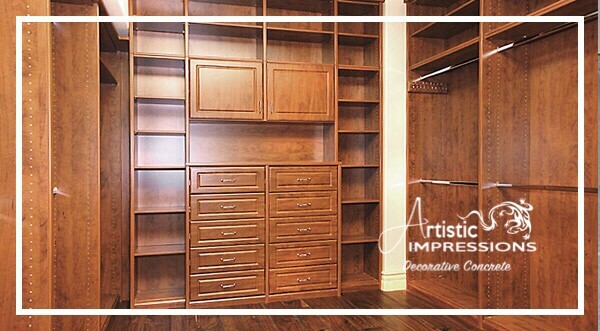 Their professional design team can help you create custom home and garage storage systems that will fit your budget and all your storage needs exactly. 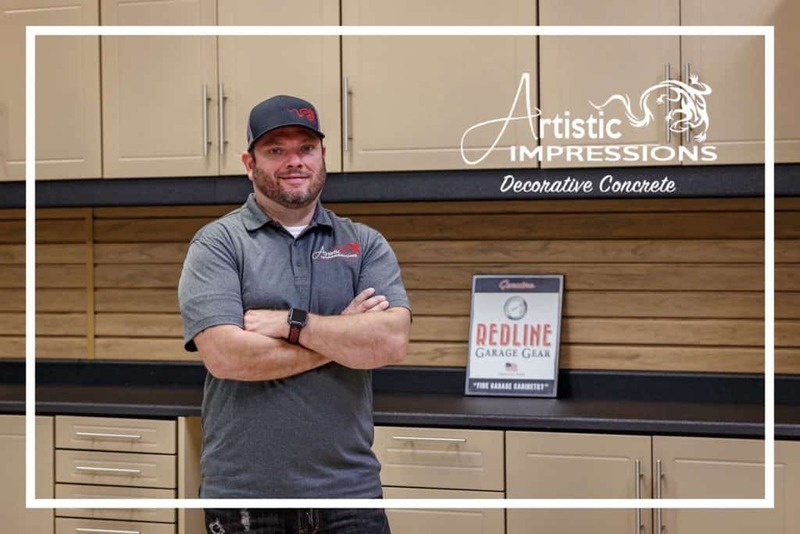 After your custom cabinets have been manufactured, Artistic Impressions courteous install crew will go to work installing your system (a process that can take anywhere from one to two days depending on the size of your project). Let us show you how custom designed and custom-built RedLine Garagegear cabinets can regain lost space and help you organize your garage for good! Contact us today and get your garage back for other things… like your cars! Use your walls to regain lost floor space with slatwall and accessories. 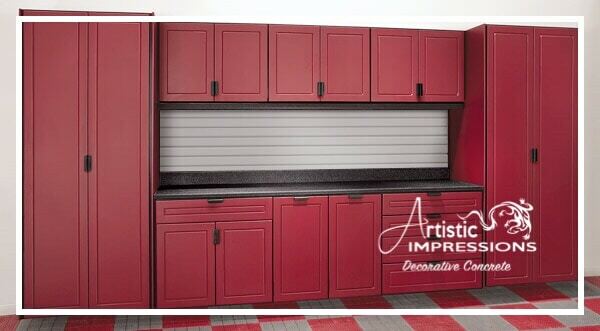 And slatwall is a great complement to RedLine garage cabinets. 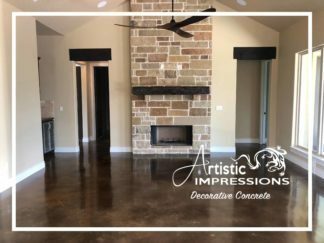 Let us show you how you can get your garage floor back. Contact us today. 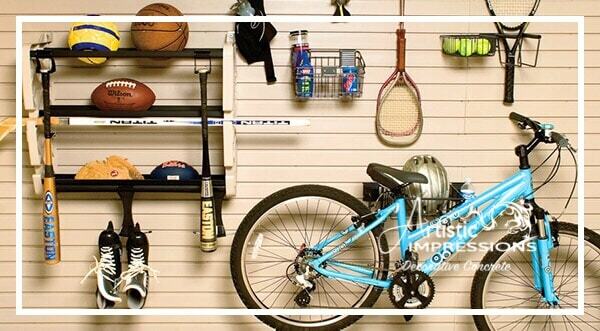 Gain space in your closets and organized them for good with RedLine Closet Systems. And they work great for any other room of your home as well. You can organize any room or closet in your home. Let us show you how. 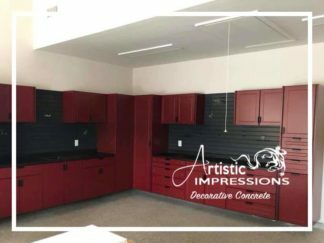 New cabinets in your garage would look great, but what about that drab stained floor? 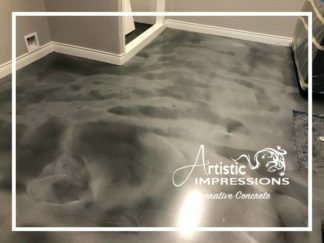 We can make your floor look great as well with our epoxy coatings. Don’t let an ugly garage floor spoil the look of your new cabinets. Contact us today.